Are you a project manager handling e-learning projects? Are you worried of cost overruns and delays? Well, no more worries. 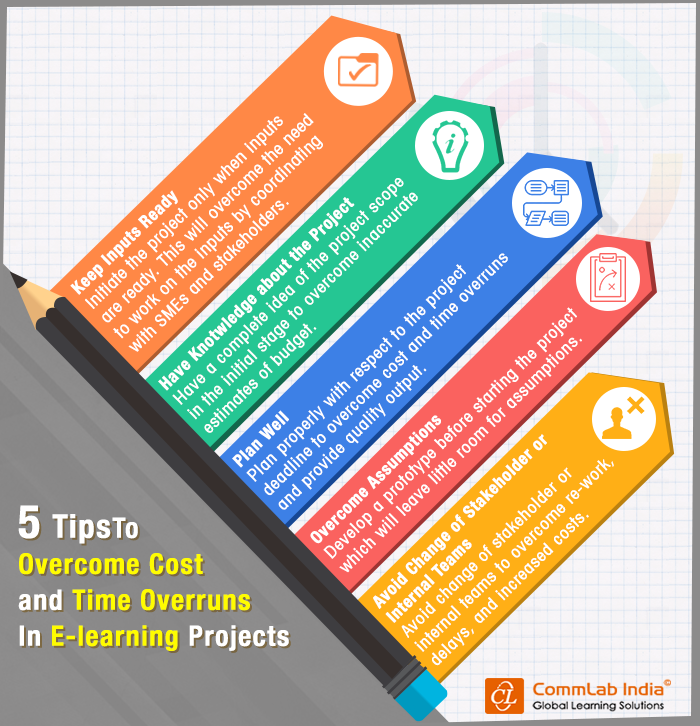 Here is an infographic on tips to overcome cost and time overruns in e-learning projects.